Enjoying the free public skate at the South Huron Recreation Centre. March Break is great for kids no matter where they’re from (who doesn’t love a week off from school? ), but it’s worthwhile to realize what fun you can have without travelling far. As a resident (as well as an employee) of South Huron, I checked out what the municipality had to offer for March Break activities. 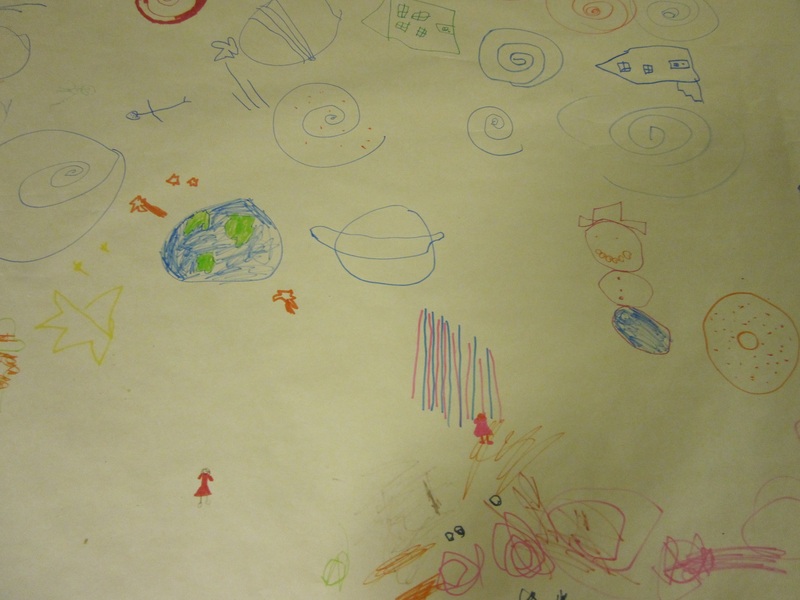 Pictionary “art” at the South Huron Day Camp. Today (Wednesday) was the South Huron Day Camp. 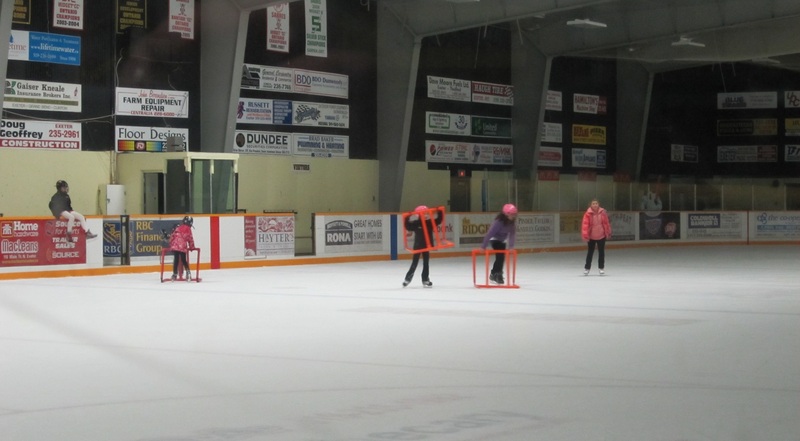 Kids aged 6 years and up enjoyed a full day of activities at the South Huron Recreation Centre in Exeter. Activities included bingo, a yummy pizza lunch, ice skating, snacks, crafts, and games. The camp was run by Maggie Miller, who was happy with the turn out and said bingo was a hit. A number of community groups and businesses including the Exeter Legion Ladies Auxiliary, Hansen’s Your Independent Grocer, Exeter Lions Club, and New Orleans Pizza made donations which helped make this event possible. A brochure listing all of the March Break events in South Huron is available online. There’s free public skating at the Recreation Centre in Exeter on Friday from noon to 2:30pm, and a “Fun Day” planned in Crediton from 10 to 3pm with crafts, lunch, snacks and games for the kids. This event is hosted by the Crediton Optimist Club and is $10 per child. Friendly faces at the Recreation Centre in Exeter. Darcey Cook, Program & Events Assistant, and Jo-Anne Fields, Manager of Community Services for the Municipality of South Huron. For questions about recreation programs in South Huron, give Darcey or Jo-Anne a call at the Recreation Centre at 235-2833. Information about programs and events are also posted on South Huron’s website, Facebook & Twitter pages. South Huron is proud to be an in motion community. Huron-Perth in motion is a group of recreation and health organizations whose goal is to promote physical activity and get Huron and Perth County residents moving more. Bingo time including bean bingo markers.